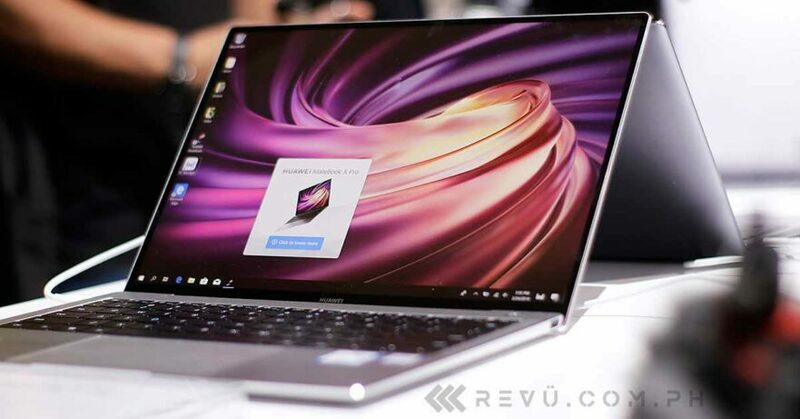 According to Li, the first notebook that will make its way to the country is the Huawei MateBook 13, and it will be officially unveiled alongside their new P30 and P30 Pro flagship smartphones. Next in line should be the refreshed MateBook X Pro, which we saw at MWC 2019. It offers better specs in a more impressive body with a pop-out webcam. The prices have been revealed by a dealer. The base model with an eighth-generation Intel Core i5-8265U processor and 256GB of storage costs P55,990 (roughly $1,065). If you want to buy the higher-specced version that pairs an Intel Core i7-8565U processor with 512GB storage, you need to shell out P69,990 ($1,331). The Huawei MateBook 13 is like a more powerful, slimmer Apple MacBook Air. It boasts 8GB RAM and a dedicated Nvidia GeForce MX graphics 150 GPU. While not a gaming laptop, it can certainly handle all your office tasks and some light gaming on the side.